My name is Sister Fa and I am a Senegalese rapper and campaigner against female genital cutting (FGC), also known as FGM. I’ve recently returned from Guinea where almost every girl is cut. I too was cut as a child and am now passionate about ending this practice. My “Education sans Excision” (Education without Cutting) tours use workshops in schools based around art to stimulate discussion about human rights and from there, female genital cutting. 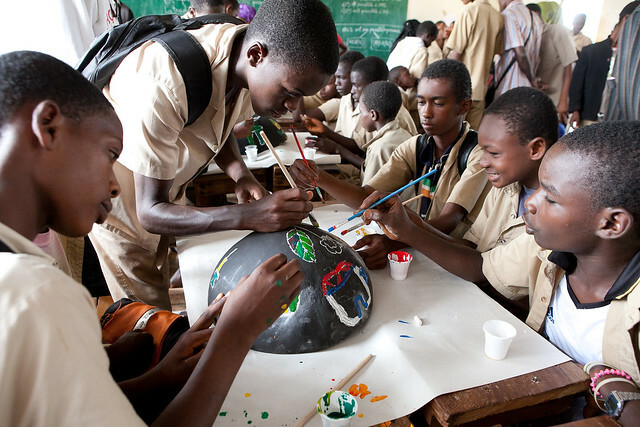 We give young people - boys as well as girls - the chance to discuss what their rights are, and encourage them to express these through art - in this photo they are painting gourds. Often it’s the first time anyone has ever talked to them about their rights. On this tour I also had a new plan: to meet local musicians and form a group of activist artists who could support my work after I left. They travelled with me from school to school. I couldn’t wait to meet the musicians. 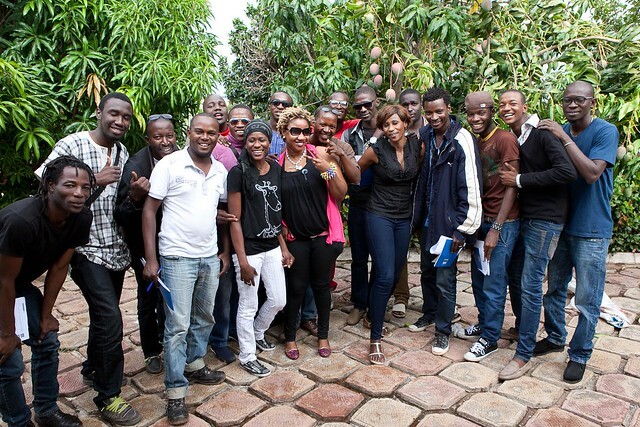 There were 15 artists from the central towns of Labé and Pita and the capital Conakry. You’ll see that most of them are young men - it’s crucial to get men as well as women on board if we want to end this practice. When I asked why they decided to take part, they all said they could use their music to raise awareness. They understand the issues around FGC and early marriage and want to help end it. I insisted they should dress properly for the tour so that they don’t encourage children to dress like them! Helping me on the tour were the Imam of Dounkiba, Thierno Amadou Woury, and Adama Woury Barry, a midwife from Dounkiba, a large village in the centre of Guinea. 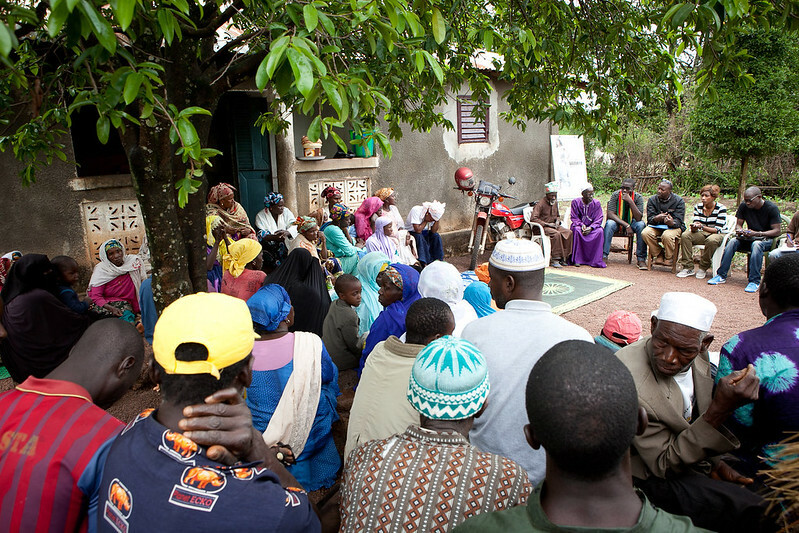 Religious leaders are often best placed to dispel the widespread misconception that FGC is a religious requirement. In Guinea, girls are frequently stitched up after they are cut – a practice called infibulation. Adama has had a lot of experience in explaining the terrible health problems caused by cutting and infibulation. In each place I stopped I met the whole community: men, women, young people, councillors, administrators and education officials. Involving everyone is important if we are to end the practice. In many communities, the women told me there had been a small decline in cutting, but that there was a long way to go. In Guinea over 90 percent of girls and women have been cut. In Dounkiba I asked the women why cutters continue this practice despite all the calls to abandon it. They said some cutters had stopped, but had then started again because there was still demand for their services. Others had resumed cutting because they lacked any alternative income. The women said there must firstly be a strong publicity campaign about the harm caused by FGC. Secondly, alternative jobs must be created for cutters, for example in agriculture. I met administrative authorities in every town and their message was always the same; they would support my project through their presence, but lack of money prevented them funding work to end FGC. They promised to write to the education ministry asking for FGC projects to be made part of the school curriculum. In Labé and Pita, the local education authorities came to help. We talked about setting up a group in each school made up of five students who will promote the abandonment of FGC and early marriage. I am really excited about this. I’ll be going back to Guinea later this year to follow this up. 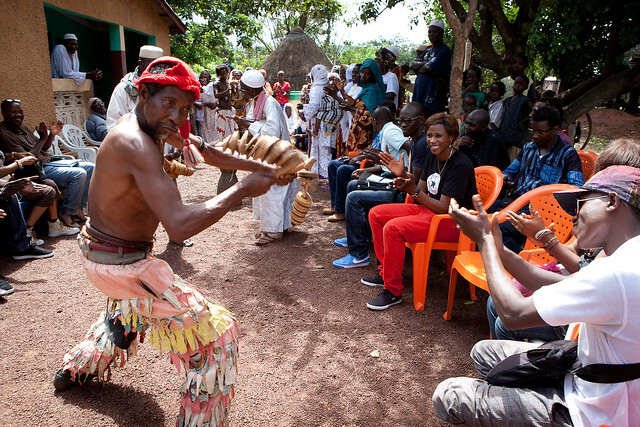 I have now done six tours in Senegal and Guinea. 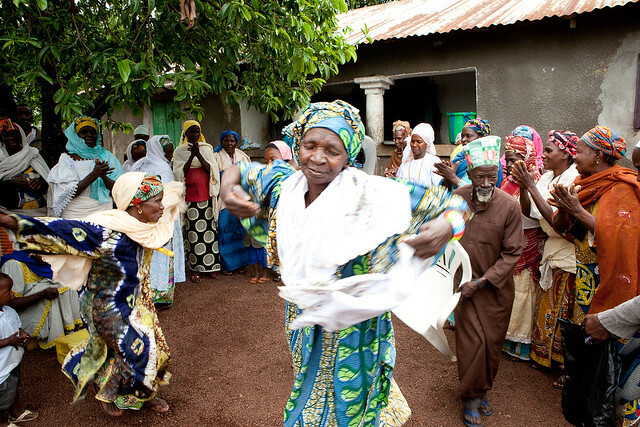 My work is supported by Orchid Project which campaigns to end FGC and links in with the Senegal-based NGO Tostan whose grassroots empowerment programmes have seen over 7,000 communities across West Africa publicly declare they will abandon FGC. This trip has shown me that lack of resources - not a lack of will - is often the barrier to ending female genital cutting.